Low to moderate water requirement; full sun to shade. 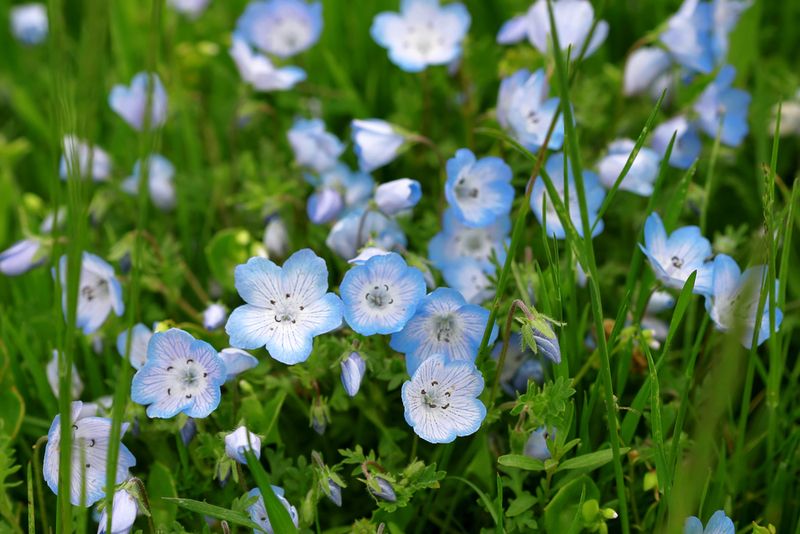 Annual with pale blue flowers, blooms March to June. Native to California but easy to grow throughout the USA. Prolific bloomer.